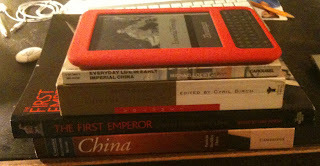 I am in the thick of another place, another time: early imperial China. I am concentrating on the Zhou, Qin and Han dynasties, and very interesting they are too. I started with a film called Confucius (551 - 479 BC) to give me a taste of the 'Spring and Autumn' era at the end of the Zhou Dynasty. It seemed windswept, cold and desperate. 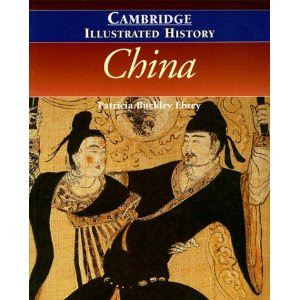 Reading about the philosopher's life in the Cambridge Illustrated History of China, the film seems true to life. Women were little seen except by the hearth or, once, dressed in red silk dancing in a troupe. Confucius was a teacher longing to give advice to the leaders of the many different states which were at war with each other just then. People should put others first, he thought, and should respect authority. 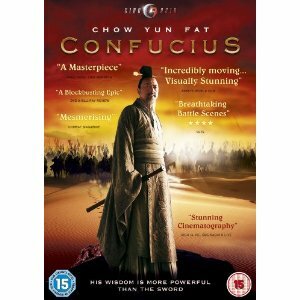 The film shows him wandering around the plains of China for most of his life before kings realised the wisdom of his words. Which seems especially pertinent today. for then the clever will not dare act. 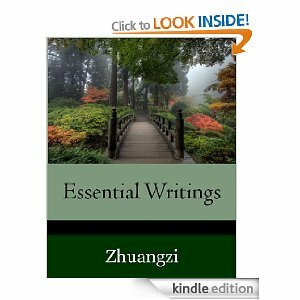 However, Zhuangzi (369 - 286) seemed to give a more humorous interpretation, and I have downloaded his book of parodies and parables onto my Kindle. The age that brought Confucius and Tao in China, also brought Buddha in India and Aristotle, Plato and Socrates in Greece. Maybe people had settled down long enough to think, or as the Cambridge Illustrated History puts it, ' began to stand back and look beyond'. The west and the east are compared at the end of the chapter on the Qin and the Han Dynasties that came next. This is roughly synchronous to the Roman Empire and the two have something in common: they both built walls to keep out barbarians, they both sent out settlers and officials to administer and gather taxes from their colonies, educated the local land owners, and even the areas of the two empires were similar. However, there were differences too: the Chinese culture was crop-based, and there was much greater cultural cohesion due to the use of one common script. The agrarian society is yet another reason for the decline in Chinese science in later years (which so fascinated Joseph Needham): commerce was held in contempt in ancient China, and merchants were heavily taxed. During the Han Dynasty the state also took over the distribution of grain, as well as the running of the iron foundries and salt works. All of these discouraged trade and industry: both of which drive the discovery of innovations in science and technology. Other reasons (as I have discovered earlier in my reading) may have been the prestige of a career in the civil service (so gifted people were attracted to this rather than to a career in innovation), and the lack of an aristocracy (this meant there were no factions, hence little competition for power and so little internal fighting - which again precluded the necessity to innovate). 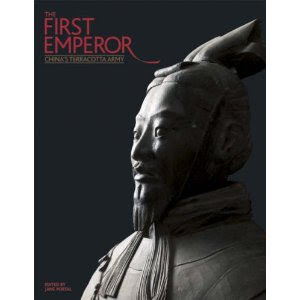 Having made notes on the first three chapters, I decided I wanted to learn a little more about The First Emperor, and so have moved onto the book I bought about three years ago when I went to see the Terracotta army in the British Museum with my mother. I have only read a couple of chapters but the text is proving to be as inspiring as the photographs. Siri Hustvedt's novel The Summer Without Men is lingering with me this morning. I finished it last night. Although a short novel, with a scant 200 short pages, it is rich with several themes skilfully woven together. It begins with the words: 'Sometime after he said the word pause, I went mad and landed in hospital.' The 'Pause' is the mistress of the narrator's husband; it devastates her because the marriage is a long and, until then, a happy one. By the start of the novel, Mia has recovered enough to leave hospital and goes to live in a rented cottage in rural Minneapolis close to her elderly mother's retirement home. Her mother is a widow, and her friends are known as the Swans - all women - the pupils that turn up to Mia's poetry class are all pubescent girls, and her next door neighbour is a woman with a four year old girl and baby (and largely absent husband) the summer of Mia's recovery is an all feminine one. The book chronicles Mia's return to strength, with a variety of intelligent and astute observations about the mind, consciousness ('the hard problem'), mental illness, male and female relationships, marriage, sexuality and ageing. In fact, the whole of female life is here: the effect of motherhood (there is a particularly touching scene when she helps with the baby next door) - in both the young and the old; childhood and the painfulness of finding a place to fit; middle-age and the acceptance of aging and death. An unusual and attractive feature of the book is the way Mia addresses the reader. She observes that most readers of novels written by women tend to be women, and by the end of the book she addresses that reader directly, 'You, friend out there...' she says, and by that time I felt I certainly was. I shall certainly be reading more of Siri Hustvedt. I have a feeling she could become another favourite author. Thanks to Sceptre for sending me a copy of this book. I have started the year with a little self-improvement. The 'equipment' has, of course, been a book. Today I finished the first: My Grammar and I by J.A. Wines and Caroline Taggart. This is wittily written, and I learnt a lot. Since I read it on a Kindle this had advantages and disadvantages. One of the main advantages was the bookmarking and note-taking facility. Those things I didn't know I could highlight and refer to them easily when I wish to refer to them in future. The disadvantage was that the page references weren't linked, but referred to by page number (which there aren't on my Kindle, well not without accessing another menu, which is tedious). The publishers have missed a trick there: the ability to link is one of the main advantages of the ebook format. Another, more minor, gripe is that there were quite a few (deliberate!) 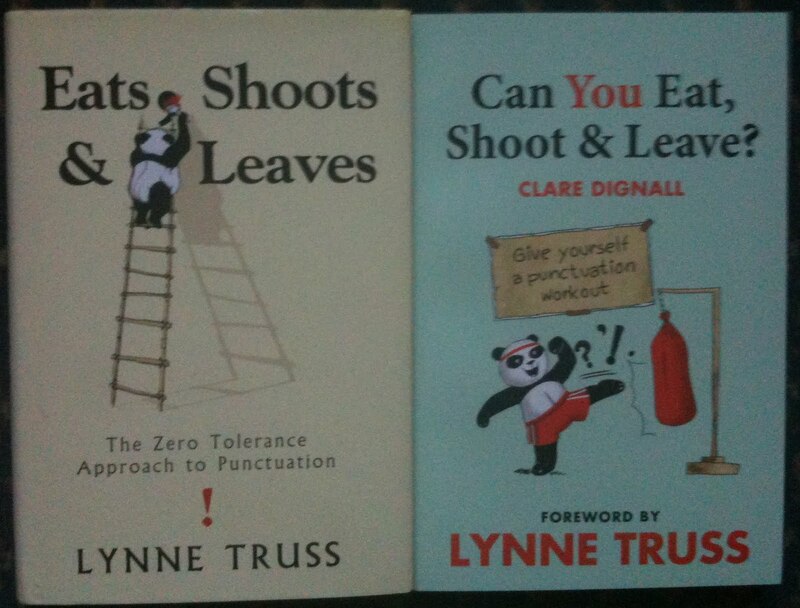 examples of bad grammar, and sometimes the correct version was not given alongside. I would have preferred it without these altogether since there is always a danger that bad practice will stick in the mind. Apart from these little niggles I found it a useful book, and it clarified a lot for me. One of the most interesting was the differences in grammar between American English and British English: we say 'which' while Americans tend to favour the less formal 'that'; we tend to omit the full stop (period) after contractions such as 'Mr.' while Americans are keeping theirs; and the Americans use the em-dash with no spaces, while we have an en-dash with a space each side. There were sections on spelling and confusables, parts of speech, sentence structure and punctuation. It started with an interesting section on the history of grammar which provided me with an explanation of why I have always felt inadequate in this. I was educated in an era when the teaching of grammar was deemed to be unnecessary; the philosophy was that it was possible to learn through experience. This is fine most of the time, but there are odd occasions when I wonder, for instance, whether to use 'who' or 'whom'. All I had to go on until now was how it sounded, which wasn't always foolproof. Now I know that one is the subject and the other is the object. This helps me not only choose the right one, but know why I've made that choice. For me, it was a moment of great insight; one I was only able to have through reading this book. I bought this Kindle book for £0.99 in the Amazon post-Christmas sale. 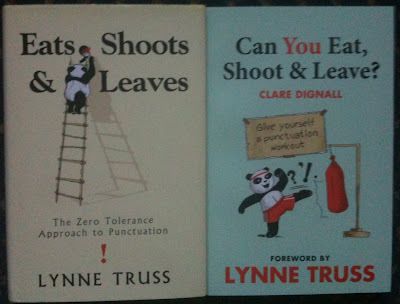 Next on my self-improvement list is Eats Shoots and Leaves by Lynne Truss (which has been in my TBR book pile for years) and the newly published Can You Eat , Shoot and Leave by Clare Dignall. Open Re-Vamp at your peril: it is an excellent antidote to the season of too much good will. The woman in black on the cover, with her dress turning into vile creatures, acts as a warning: inside this book things will not be as they seem. There will be twists of the supernatural kind. First there are vampires. The first,The Tangled Thread by Die Booth is a pitch-perfect 'then and now' story. The idea of a vampire, and what it means to be a vampire ('...I can feel death coursing through my veins. It feels like when you have blood taken, the pull and drag of it...'), is explored in what rapidly becomes a morality tale. Fallon Parker's story, Beyond the Grave, is set in a traditional vampireland called Dapfen, Swabia. She swiftly evokes a suitably sinister atmosphere with terrifying shrieks and strange disappearances, and the story builds up neatly to a tense culmination of recovered corpses. Adrian Benson's Apotropaic Proliferation has a wonderful rhythm and opaqueness : 'But I knew you'd survive, I knew what you'd be, And I knew that I'd come back to claim you for me' and tells the story of two star-crossed lovers with a difference in 'his' and 'her' stanzas. Lump by L.C. Hu is set in modern-day USA. It is a convincing and expertly written story with an ominous ending. The way in which the tension slowly builds is particularly well done, and the ending is unexpected too: the 'and it was all a dream' has a new twist. Deidre Murphy's Sometimes They Do is whimsical 'drabble' (a story in exactly 100 words). The section on ghosts begins with Tammy Lee's Ghost of a Smile is about a ghost that likes things 'just so'. It is an unusual ghost story for many reasons, and I especially liked the way it gradually drew me in and somehow contrived to remain light-hearted throughout. David Hill's The Twelve O'Clock Man is a memorable and charming story about love in later life, and like 'Ghost of a Smile', left me feeling happy. Retrospectre is another from Die Booth, and has her characteristic deft touch: 'Out of the corner of my eye I saw Rosie cram a whole Bakewell tart into her greedy, gob, thinking we didn't notice...'. This is a completely believable ghost story brought alive by some great characterisation. Fragments from Ghost Apocrypha #1 by Adrian Benson was another very original story, extremely well written, and based on the concept of a 'bedhanger' - 'a nocturnal disloacted wisp of spirit'. Either an 'emissary of the future coming of a more mature ghost' or 'a type of residue.' The writing is incredibly vivid and imaginative. J.T. Wilson's Ghostwalk is a clever story based on a modern-day sight-seeing tour. There is an immensely satisfying twist. The Unseen is another example of L.C. Hu's assured writing. It is a beautifully told story about the relationship between an invalided woman and a child. The End of the Line by Tessa J Brown is a terrifying ghost story thriller. The tension never lets up. Milla Galea's Love Never Dies is a story about loss, and the danger incurred when dreams come true. It is sensitively told. Claudia Glazzard introduces the werewolf section with a very good haiku, while L.C Hu's The Natural Beast tells of an attempt to harness the change into beast for a murderer's own ends - with a surprising result. In the next story: Dogged by Die Booth is a new take on the idea of the werewolf bite as the agent causing transformation; while John Ivor Jones's 'Once We Were Gods offers an intriguing quasi-religious explanation for the legend. Tessa J Brown's Family is from the point of view of the werewolf, who knows that the change is imminent, and his attempts to ensure his potential victims keep their distance. An unusual take, and very effective. M Harley's Grey and White and Red ends the selection with another exploration of how it feels to be a werewolf. It is lyrical and imaginative. Zombies are the next creatures in this supernatural menagerie. The first story of the set, Escape by Tessa J Brown, is a gripping story that takes place in a biodome and reminded me of Margaret Atwood's Oryx and Crake. Found by Die Booth owes much to W. W. Jacob's The Monkey's Paw, and evokes the same claustrophobic atmosphere and dread. Flowers in the Snow by Tammy Lee is a great little Sci-Fi story about and advancing disease, while Mr Zombie by L.C. Hu is a quirkily-told tale about John Rivera who is, allegedly, a zombie. But They Love Me by Die Booth is a very well written story about a rock star; there is more than one way of becoming a zombie. The penultimate section, on Serial Killers, is particularly strong. Michéle Rimmer's The Maggot about a bad smell is satisfyingly disgusting and very well structured; while Die Booth's The Fourth Ape is superb. It concerns a collector of animal specimens and says a lot in a clever and subtle way. J.T. Wilson's A Place for a Girl with Hair Slide convincingly captures the voice of a teenager who makes some gruesome discoveries, while this section is finished off by L.C. Hu's All Better, which features one of my favourites: the sinister child. This is expertly told, a great story. The book finishes with a graphic story, Case US-0-59 by Triska and Vivian, an enigmatic series which is very well done. There is more art work between the sections, which I thought much enhanced the book; as did Susan Price's introduction. She finishes with 'I love Re-Vamp too. I dip in and out of it, reading story here and there, and always find good ones...' Several of the authors are in Chester Writers. 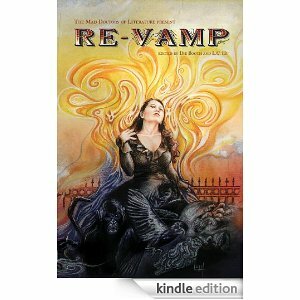 They are at all stages of their writing careers, and each has produced an accomplished piece of writing in Re-Vamp. I am proud to know each one of them. Congratulations to Die Booth and L.C. Hu on producing a fine anthology. In 2011 year I have read 75 books (I was able to determine this quite easily because I have been tagging the books I read ('read in 2011') in my library in Librarything. This might not be a very impressive number for a lot of people but it is a very good number for me - especially since several of them I considered to be difficult and long academic-type books. The book I remember the most was Kingdoms along the Silk Road by Christopher Beckwith from which I learnt an unexpected amount about all sorts of topics including, of course, the Silk Road. Looking at the pile (which I have also catalogued by stacking on a particular area of the floor in my study) I can see that I spent much of the year learning about places: the afore-mentioned Silk Road (8 books), and also Japan (30 books), Italy (9 books) and France (9 books). 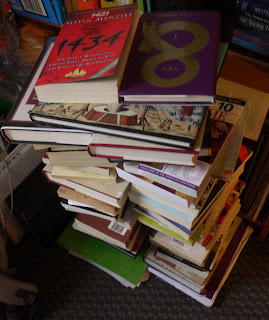 In 2012 I am intending to go back to China (29 books) - concentrating on both the start of the country (the emperor Chin of 250BC), China of the early 1960s (which has fascinated me ever since I read about that era in the biography of Mao Tse Tung by Li Zhi-Sui), but also the China of today. I am intending to start with a little self-improvement: by reading My Grammar and I by Caroline Taggart which I have downloaded onto my Kindle. On the news everyone is predicting a dismal year for Europe and the UK. It is a worrying time, which makes it more important than ever to have a means of escape. For me there is no better escape than a book and would like to wish anyone reading this blog post a very happy reading year!